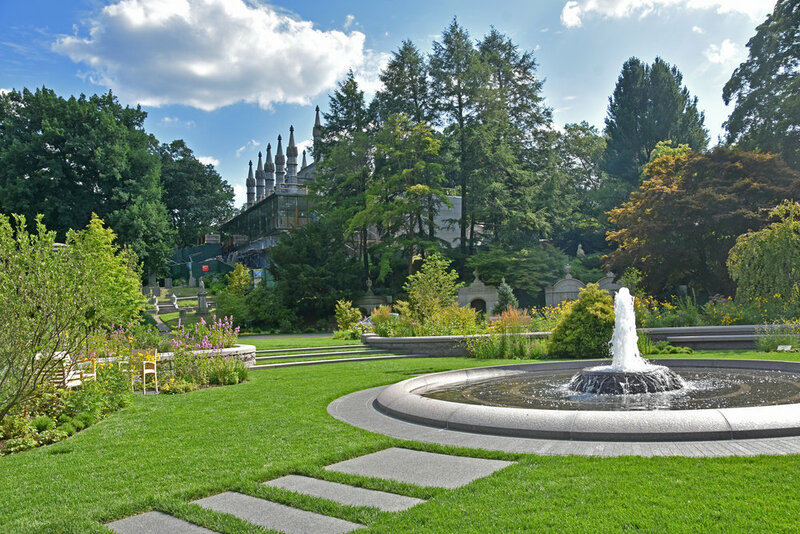 The Asa Gray Garden at Mount Auburn Cemetery is one of the first open spaces that greets visitors and sets the tone for the myriad vistas, landscape specimens and monuments that await within. Halvorson Design worked with Mount Auburn to revitalize the Asa Gray Garden to once again become an important visual and social anchor linking the visitor experience of Story Chapel with Bigelow Chapel and its new cremation facility, all the while offering Mount Auburn’s visitors a place of beauty, respite, tranquility and contemplation. Named after renowned 19th century botanist and Harvard Botanic Garden & Herbarium Director, Asa Gray, the plantings and specimens are ambitious and extensive, echoing the history of Gray’s research into North American and Asian plant species. 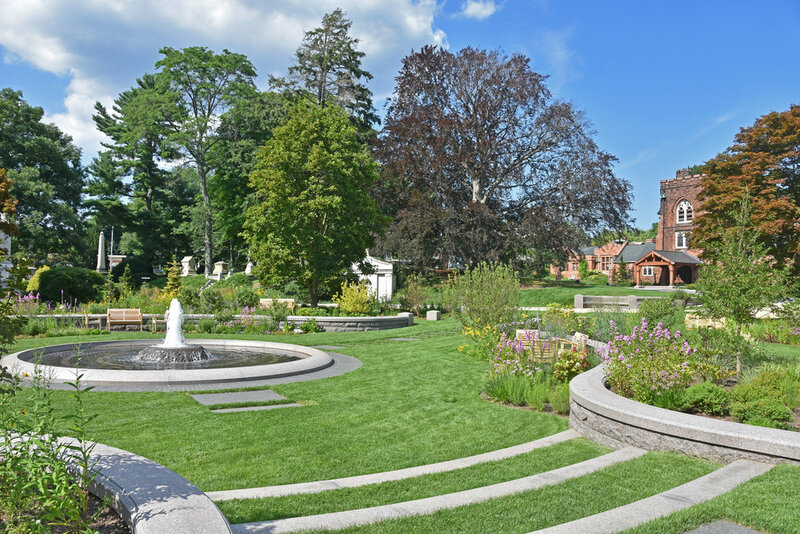 Halvorson Design reoriented the garden to align and complement Caroline’s Path leading to Story Chapel and redesigned the open lawn areas to welcome visitors to explore the garden itself while leading the eye towards Bigelow Chapel and the refurbished Laburnum Path.